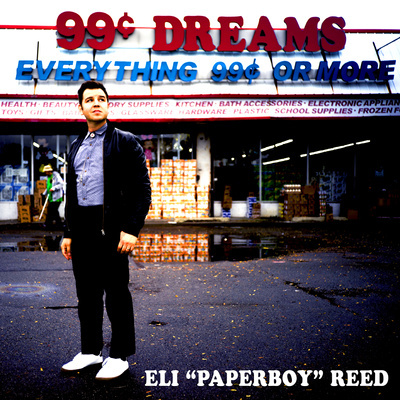 If you're playing Elle King, St Paul & The Broken Bones add Eli "Paperboy" Reed to your arsenal of straight up rockin' R&B and soul! Cut at the legendary Sam Phillips Recording in Memphis, TN, and produced by Matt Ross-Spang (Jason Isbell, Margo Price), The album 99 Cent Dreams is an exuberant and uplifting collection, a celebration of life and love delivered by an ecstatic messenger who’s still in profound awe of the power of both. The new album follows the Boston-via-Mississippi singer’s universally lauded 2016 release, ‘My Way Home’. Hailed as “inspired, raw and powerful” by NPR and praised for its “urgent, electric energy” by Uncut.